Professor Jessica Marglin is passionate about the testimonies of Sephardic Jews in the Visual History Archive, and that passion has rubbed off onto her students as well. 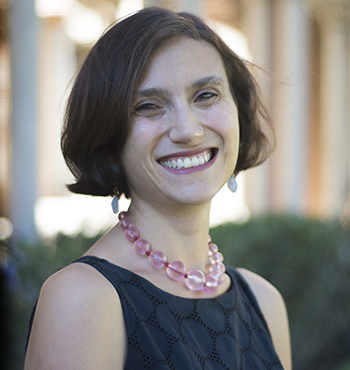 Marglin is Ruth Ziegler Early Career Chair in Jewish Studies and Assistant Professor of Religion at the University of Southern California. She is a scholar of the history of Jews in the Middle East and teaches an undergraduate course about Sephardic Jews during the Holocaust. An integral part of the course is the Visual History Archive. For their original research papers, Marglin encourages her students to watch testimonies and incorporate survivors’ stories into their research. “The immediacy of the personal stories collected in the Visual History Archive made a huge impression on my students, and many found themselves engrossed in watching far more than the required number of interviews,” Marglin said. In fact, some students last year were so successful in their research that they were invited to present their papers at the prestigious ucLadino Judeo-Spanish Symposium at UCLA. The annual symposium brings together leaders in the field of the Ladino language and Judeo-Spanish history and culture, so to present original research as undergraduates was a rare honor. In a panel moderated by Marglin titled “Ladino and USC Shoah Foundation,” Dana Austin spoke about the effect of World War II on the decline of the Ladino language and Lara Sassounian spoke about the effect of genocide on minority languages. Their teaching assistant Andrew Soria spoke about USC Shoah Foundation and Ladino pedagogy. Sassounian said watching testimony and writing her paper helped ignite a new interest in history and political science, and she hopes more students learn about the Visual History Archive and use it as a resource. 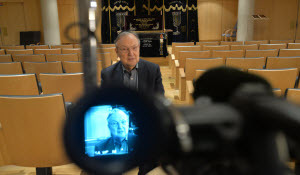 USC Shoah Foundation is currently in the process of recording new testimonies of Jews who were in North Africa and the Middle East during the Holocaust for its Middle East and North Africa (MENA) Collection. 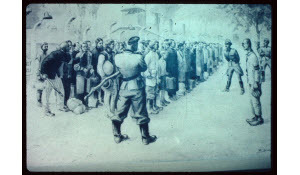 The testimonies reveal how Nazi-sympathizing governments of Iran, Algeria, Morocco and other countries in the region enabled antisemitism and persecution of Jews, which often forced the interviewees to flee their homelands. Marglin said oral histories of Jews who lived through World War II in the Middle East and North Africa are scarce, which has made research in this field difficult. Official state archives also lack personal stories of ordinary people in this region. USC Shoah Foundation’s existing testimonies of Sephardic Holocaust survivors and witnesses, combined with the new material being collected today, are an important resource for students and scholars alike, Marglin said. Testimony has the potential to truly inspire those who watch them and reveal a side of history that is not well known. “Expanding the materials available for students interested in the effects of the Holocaust and WWII on Sephardic and Mizrahi Jews would offer even more opportunities to engage students with the research potential of the Visual History Archive, as well as to use the individual stories of those who lived through WWII in the Middle East to bring the history of this period alive,” Marglin said. Originally posted on the Visual History Archive Impact in Profile page. 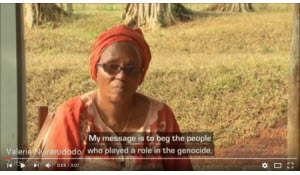 Survivors and witnesses of the Holocaust (1939-1945), Armenian Genocide (1915-1923), Nanjing Massacre (1937), Rwandan Tutsi Genocide (1994), and Guatemalan Genocide (1978-1996) have shared their stories and experiences in a collection of 54,000 two-hour audio-visual interviews with USC Shoah Foundation Institute for Visual History. ProQuest is honored to be in partnership with USC Visual History Archive to offer this material in its entirety to a broader audience and to contribute archival-quality transcripts of all of the testimonies. Watch the videos, and learn more.